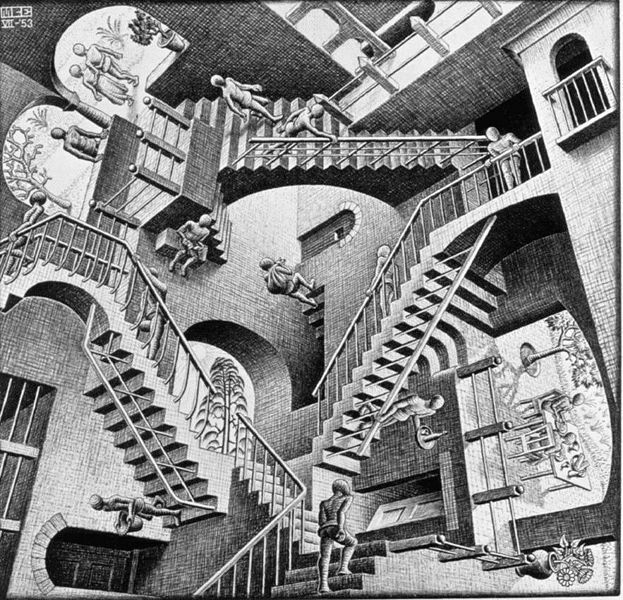 M. C. Escher. Wow! And I thought Francis Bacon had some strange art.. Wallpaper and background images in the Modern Art club tagged: modern art m. c. escher. I think Escher's art is so amazing!